China and Finland have been intensifying cooperation in preparation for the 2022 Winter Olympic Games. Sun Yang won the 800-meter men's freestyle and the 200-meter men's freestyle on the fourth day of the Chinese National Swimming Championships in Qingdao. Team Lakay’s Danny Kingad still undefeated after ‘ONE Championship: Kings of Destiny’ fight against Muhammad Aiman? Eduard Folayang will not be the only Filipino fighter with a Malaysian opponent at “ONE Championship: Kings of Destiny” on April 21 at the Mall of Asia Arena in Pasay City, Metro Manila. Folayang’s fellow Team Lakay member Danny Kingad and Malaysian fighter Muhammad Aiman will fight in the flyweight division during the event. 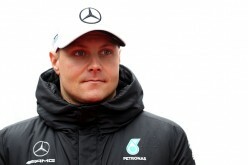 Mercedes driver Valtteri Bottas of Finland apologized to his team for a "stupid mistake" in warming up his tires that caused him to lose control of his car. 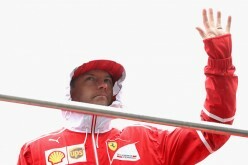 Kimi Raikkonen lamented that Ferrari could have done "much more" to avoid his disappointing fifth place finish. 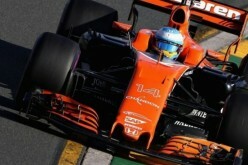 Racing team McLaren is hoping to penetrate the Chinese Formula One market further after its run at the Shanghai Grand Prix. 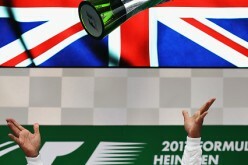 Lewis Hamilton of Great Britain brought the victory for Mercedes GP in Sunday's Formula One Grand Prix of China, beating second-placer Sebastian Vettel of Ferrari. ‘ONE Championship: Kings of Destiny’ news: Will Muhammad Aiman give Danny Kingad his first MMA loss? Danny Kingad is entering the ring at “ONE Championship: Kings of Destiny” as an undefeated MMA fighter. On April 21, he will fight against Muhammad Aiman in the flyweight division of the bout to be held at the Mall of Asia Arena in Pasay City, Metro Manila, Philippines. Both Malaysian MMA fighters Ev Ting and Muhammad Aiman are fighting against a Filipino opponent at “ONE Championship: Kings of Destiny.” Ting and Eduard Folayang will headline the event while Aiman and Danny Kingad will battle it out in the flyweight division. 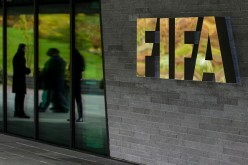 Another firm has been signed as a Chinese sponsor for FIFA. Through a 15-month deal, Hisense will become a television sponsor for the 2018 FIFA World Cup in Russia. It started when I asked Mark Striegl about his thoughts about the upcoming “ONE Championship: Kings of Destiny” fight between Eduard Folayang and Ev Ting. For Striegl, Ting is a strong fighter but Folayang is better so the latter will win the fight. Mark Striegl said his fellow Filipino fighter Eduard Folayang is going to win the fight against Malaysian fighter Ev Ting when asked about the “ONE Championship: Kings of Destiny” main event on April 21 at the Mall of Asia Arena in Pasay City, Metro Manila. Ting was not happy about this and even called Striegl a clown. 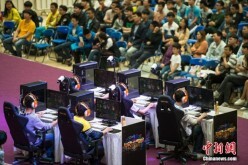 A leading personality in the Chinese e-sports industry is calling on authorities to create a framework and rules to foster the healthier development of the field. 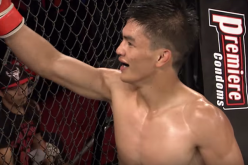 Ev Ting to ‘warm up’ with Mark Striegl before fighting Eduard Folayang? 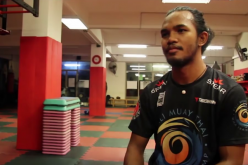 Eduard Folayang will not be the first Filipino opponent of Malaysian fighter Ev Ting. On Feb. 11, 2012, Filipino-American MMA fighter Mark Striegl defeated Ting via rear-naked choke at “Legend FC 7” in Macau, China. 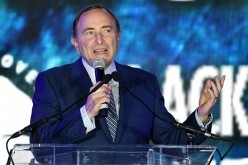 The NHL will not allow players to participate in the 2018 Winter Olympic Games.